I hate when the power goes out. And I'm sure most of you would agree. It's never an opportune time. It's always, "damn. I was right in the middle of ____." Well, if you were an Electrocutioner, you could probably just plug your big gun-thing into the socket and power up whatever you needed. 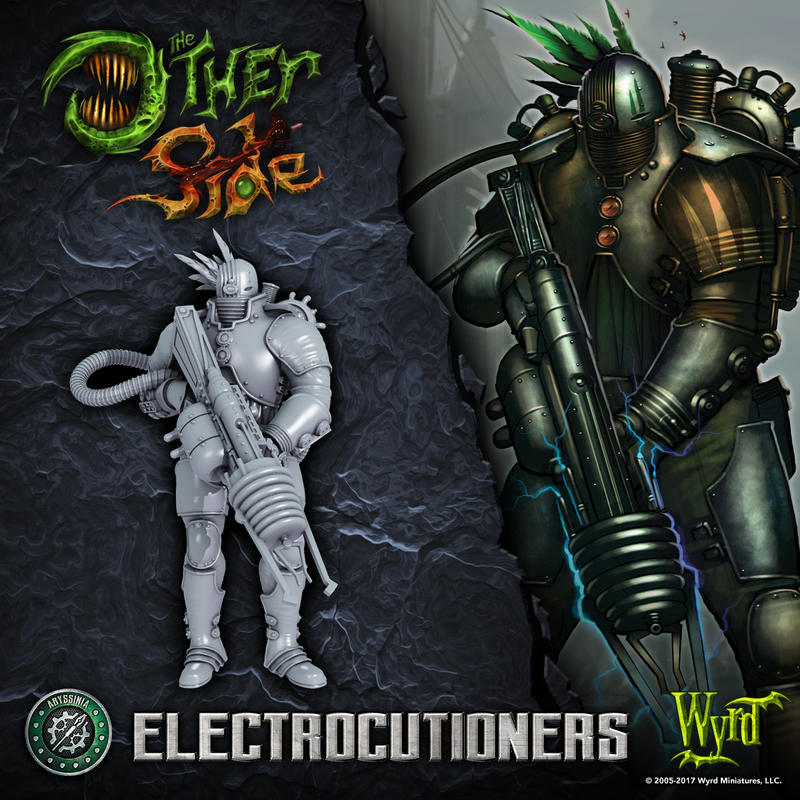 They're today's preview for The Other Side from Wyrd.